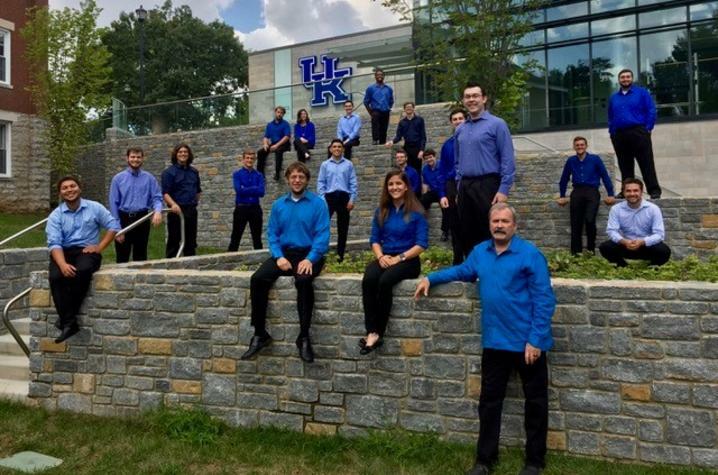 LEXINGTON, Ky. (Oct. 25, 2018) — The University of Kentucky Percussion Ensemble (UKPE) will perform a free public concert 3 p.m. Sunday, Oct. 28, at the Singletary Center for the Arts Recital Hall. The concert will feature six extremely musical and physically demanding works for the performers that focus on the themes of atmosphere, integration, texture, minimalism and ethnic festivals. 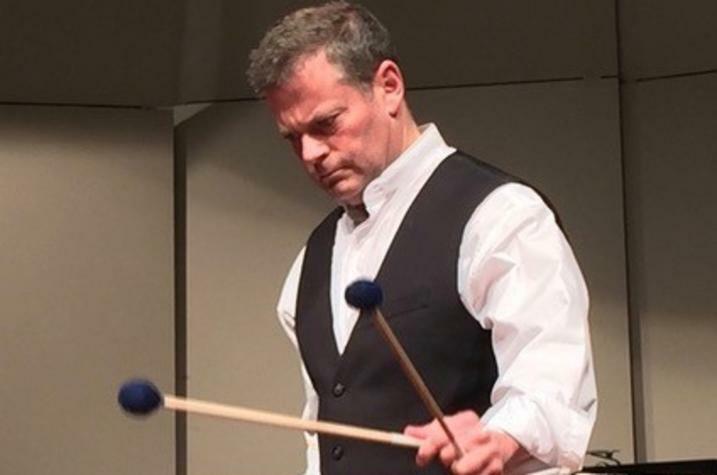 Internationally renowned marimba artist and composer Andy Harnsberger will perform as soloist on his own brand new work, “Unbreakable,” for marimba and percussion trio. This work is dedicated to anyone who has ever battled a disease, illness or disability and refused to give up. It is for those people who battled and emerged victorious and those that battled and eventually lost, but never gave up. Praised by Percussive Notes Journal as a “master of musical nuance,” Harnsberger enjoys a versatile career as a performer, composer and educator. He has performed in musical venues across North America, South America, Australia, Japan and Europe, and presents numerous solo recitals and clinics throughout the United States each year. Recently, he has been a featured artist at the Tamborimba Percussion Festival in Cali, Colombia, and the Patagonia Percussion Festival in Argentina. The concert opens with “Spherical Music,” written by Eve Beglarian for 12 keyboard percussionists. The UKPE has chosen a diverse and wide-ranging set of instruments that help elicit the orchestration of an algorithmic music where the rule-based events feel like more than mere arithmetic, where they become a kind of magic numerology. Other works include “Ku-Ka-Ilimoku” by Pulitzer Prize-winning composer Christopher Rouse. This work for percussion ensemble is best viewed as a savage, propulsive, Hawaiian war dance. Hawaiian chants are often based on as few as two pitches, and Hawaiian percussion emphasizes short, repetitive patterns. Underlying this surface simplicity is a wealth of subtle rhythmic inflection and variation. The UK Percussion Ensemble, conducted by James Campbell, is internationally recognized for its excellence and innovative programming and has won the prestigious Percussive Arts Society Collegiate Percussion Ensemble Contest five times. For more information on the UK Percussion Ensemble concert, contact James Campbell, director of Percussion Studies at UK School of Music, at 859-257-8187. UKPE is one of several ensembles housed at the School of Music in the UK College of Fine Arts. Currently celebrating its 100th anniversary, the school has garnered national recognition for high-caliber education in opera, choral and instrumental music performance, as well as music education, music therapy, composition, theory and music history.